The Seventeenth-century canal ring area of Amsterdam inside the Singelgracht is a network of canals that were made to extend the medieval city center. The ring of canals is half-moon shaped. The city was expanded several times in history, but at the most in the 17th century when Amsterdam had become a wealthy trade metropolis. 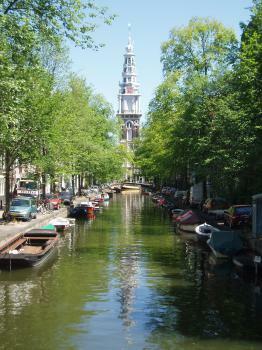 The nucleus of the nomination lies along the Singel, Keizersgracht, Herengracht and Prinsengracht. The houses are known for their variety in gables. Most of them are made of brick. I had been to Amsterdam numerous times before of course, but in “celebration” of its WHS nomination I decided to approach the capital as if it was just another WHS city to explore. At home I prepared by printing a map and marking on it the most promising sounding monuments mentioned in the nomination file. I also looked for more background info about these places on the web. So I set off with map, documents and photo camera by train to Amsterdam. The best time for any visit to Amsterdam is early Sunday morning. The city then displays its historic feels at its best – on any other day in the week it often gets too crowded and commercial. I went on August the 1st, the day after Amsterdam's designation as a WHS. The city apparently didn't think it necessary to dress up for the occasion - the area in front of the Central Station is a big construction site. The Palace and the Maritime Museum also are totally covered because of restorations that will finish in 2011 at the earliest. Leaving the station I turned to the left, away from the ugly Damrak. Here the 15th century Schreierstoren is the last remaining defensive tower of Amsterdam's city wall. The wall was torn down in the 17th century to enable the prospering city to expand. From here I walked south to the Mr. Visserplein. I decided to visit the Portuguese Synagogue, I hadn't been there before. In exchange for a 6.5 EUR entrance fee you get a fancy audio guide that not only tells you everything there is to know about this synagogue but even displays relevant pictures. The outbuildings of the synagogue are undergoing restorations too, but the interior is accesible. I found it quite austere, almost like a protestant church. Via the New and Old Keizersgracht I walked back to the heart of the city. This is the canal area where the most expensive houses are. In the past there were also social houses for the elderly, sick and orphans. Their buildings have survived though are now used for different purposes. Here I ended my short tour of Amsterdam. There is a large canal area (to the west) that I didn't visit this time, but which is very worthwhile for a first timer. Amsterdam is special. I've been twice, and it's still impossible for my brain to understand the engineering required to dig a city out of the sea. 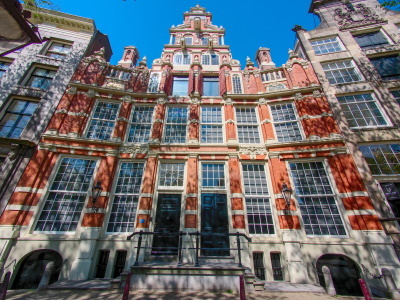 The architecture of the houses is a product of both the canals and the local tax laws, leading to one of the most beautiful and unique townhouse styles in Europe. Like some others on here, I find the name of the WHS a bit ugly. I really wish the Netherlands had made it to the World Cup Final in 2014, because that would have made my visit to Amsterdam and its canal ring even more memorable. Instead, I got to watch them play for third place in the tournament, and the city was a bit more subdued (though still festooned with orange flags). Football aside, Amsterdam was just as I had pictured it would be when I finally made my first foray from Schiphol Airport. 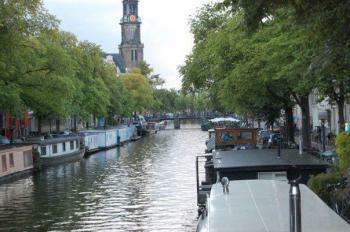 I enjoyed walking leisurely through the city, admiring the steep-roofed rowhouses and bridges over the canals. My favorite views of Amsterdam were via a canal boat tour, which provides perhaps the best perspective of this historically mercantile city. The Anne Frank House is within the inscribed area of the World Heritage Site district, and is a sobering but worthwhile site to visit. Although Amsterdam's Museumplein, which includes the famed Rijksmuseum and Van Gogh Museum, is not in the inscribed area, a bronze sculpture of Rembrandt's Night Watch can be found at the Rembrandtplein, inside the inscribed area. Logistics: Amsterdam is easy to walk around, and does have public transportation, but it is well worth it to see the city at least once by boat. I visited this WHS various times. The Singelgracht is a 17th century canal ring area in Amsterdam that was a model of large-scale town planning and a reference throughout the world until the 19th century. 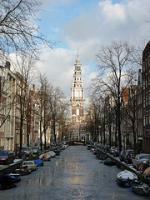 The canal ring area of Amsterdam lays on more than 100 kilometers. With 1500 bridges linking 90 islands, the canal area is made of 5 ring canals, built at the beginning of the 17th century, and the historic centre (Centrum) of Amsterdam. The area is really beautiful and full of historical treasure dating from the period where Netherlands and its maijor cities were a huge economic force. For the testimony it carries on and its beauty, the place really worths its WHS ranking. Like most people in this forum, I have been to A'dam a few times, and I have always wondered how it could be that this unique place is no WHS - especially when the Netherlands has some rather obscure sites inscribed. Well, it finally happened, even when the name is the slightly unappealing "Seventeenth-Century Canal Ring Area of Amsterdam inside the Singelgracht". Amsterdam certainly has its (well-known) downsides, but the cityscape with its pretty canals and townhouses is very attractive and makes it one of the most recognizable cities in the world. 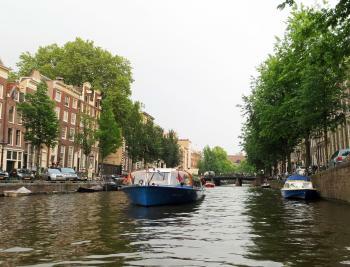 A boatride through the canals is something no visitor should miss. I guess on my next visit, I will concentrate more on the immediate historic centre away from the main tourist areas. Amsterdam is a truly worthy addition to the World Heritage List, and it hopefully will start to bring some balance to the pretty esoteric sites that the Netherlands has so far had inscribed. My own experience of Amsterdam didn’t start off too well. Arriving very early on a mid-summer morning I wasn’t particularly enamoured with the slightly tawdry atmosphere and mildly unkempt streets that I discovered. I couldn’t just really get into the city’s charms, and after a slightly confusing morning I headed off to see friends elsewhere in Holland. I returned 4 years later hoping to discover what I missed the first time around, and I certainly did. Although I still found the first stretch of Damrak to be disappointing, the rest of the city became a joy. I especially liked the outer canals, and spent a fair bit of time wandering aimlessly around them, stopping of for food and drinks and just generally enjoying the unique atmosphere of the city. That was the thing that I think most impressed me, whilst there are many lovely buildings & museums, and there are the well documented other ‘perks’ of the city that attract so many tourists, it was the almost intangible joy of being in such a unique urban environment that really stayed with me. With the inscription of Amsterdam, the list contains one of northern Europe’s finest urban centres, and the Dutch entries now look a little more balanced. LGBTQ culture: The "Homomonument" on the Keizersgracht canal commemorates those who have been persecuted because of their sexuality. As such it chimes with the OUV statement that the city "was a crucial centre for ......intellectual exchange and the dissemination of humanist thought"
Napoleon was here: In October 1811 Emperor Napoleon visited Amsterdam with Marie-Louise. They stayed at the Palace outside the inscribed area but records show several visits to inscribed locations including Felix Meritis for a ball on 22 October and to Hoge Sluis on Oct 13 and 20th for fireworks (the first was cancelled for bad weather!). 689 Community Members have visited.